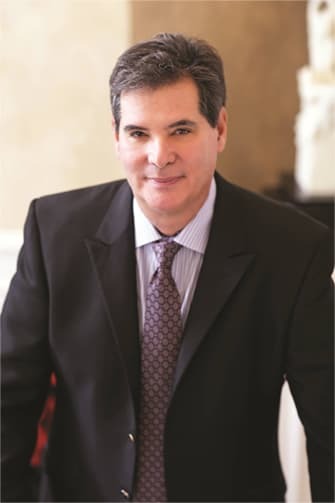 Cincinnati and Centerville, Ohio plastic surgeon Dr. Mark Mandell-Brown is a board certified facial plastic surgeon and body cosmetic surgeon. Dr. Mandell-Brown is one of only 100 doctors in the country with triple board certification in Facial Plastic Surgery, Body Cosmetic Surgery and Head & Neck Surgery. He uses his facial plastic expertise to perform minimal incision body cosmetic surgery. Recognized for his public speaking and teaching, Dr. Mandell-Brown has lectured throughout the United States and Canada on facial plastic and body plastic surgery. Dr. Mandell-Brown is recognized for his Natural Look Cosmetic Surgery. Looking better, but not different. We are excited to announce Dr. Mark Mandell-Brown, after 30 years in the business, has developed his own skin care line. Dr. Mandell-Brown advocates an ounce of protection is worth a pound of cure.. He feels that skin care should be as basic as brushing your teeth. • The skin care line is reasonably priced! • It’s for normal, dry and oily skin. • It’s for Men and Women! Dr. Mandell-Brown is considered an expert in cosmetic surgery. He is frequently quoted in local and national media and interviewed on radio and TV including CBS and Fox News. The Mandell-Brown Plastic Surgery Center is located on Montgomery Road near I-275 in northeast Cincinnati. The center is easily accessible to I-71 and I-275. For patients from other cites, shuttle transportation can be arranged from the Greater Cincinnati, Northern Kentucky International Airport or Dayton Airport.